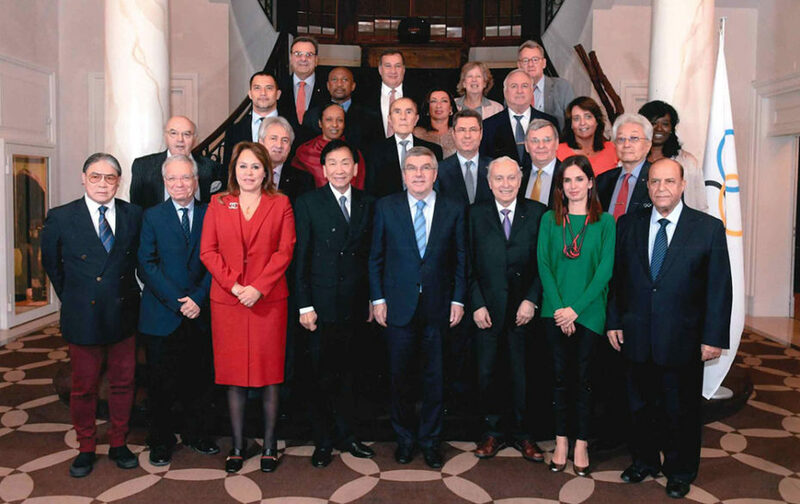 Following unanimous approval of Olympic Agenda 2020 by the 127th IOC Session in Monaco in December 2014, have reviewed – in March 2016 – the scope and composition of the International Olympic Committee Commissions. The IOC President, Dr Thomas Bach, has re-elected Prof. Franco Ascani (President of FICTS – Fédération Internationale Cinema Television Sportifs) as Member of IOC Culture and Olympic Heritage Commission. The prestigious international assignment (unique Italian person in the Commission) rewards the work done and planned to spread the Olympic values through the different international activities carried out by the FICTS. Prof. Franco Ascani, who since 2008 was member of the Commission for Culture and Olympic Education, participated, in different capacities, in 12 editions of the Olympic Games. This assignment represents a significant recognition for the fifty-year activities dedicated to the sports movement by Prof. Franco Ascani, actual President of FICTS (Federation Internationale Cinema Television Sportifs – www.sportmoviestv.com), President of the UESpT – Union Européenne Sport pour Tous, Director of the Master in “Sport Management, Marketing & Society” at the University of Milano-Bicocca. The following changes have all been made in an effort to provide the most effective support to the IOC Session, the IOC Executive Board and the IOC President throughout the implementation of Olympic Agenda 2020. The new make-up of the Commissions reflects the philosophy initiated by Olympic Agenda 2020, and will provide a strong support to the IOC Session, the IOC Executive Board and the IOC President in the implementation of the roadmap designed to shape the future of the Olympic Movement. The changes to the function and composition of the Commissions have been undertaken by the IOC President working closely with the IOC Executive Board. The IOC Culture and Olympic Education Commission is presided by Dr Lambis V. Nikolaou. President Bach has significantly increased the number of women nominated to a commission compared to two years ago when he was first elected, with a third (32 percent) of places now taken by women. That is a 49 percent increase since he took office. There are also increases in the numbers of members from Africa and Oceania, as well as an increase in the number of chair persons from the Africa and Asia now accounting for 34 percent.